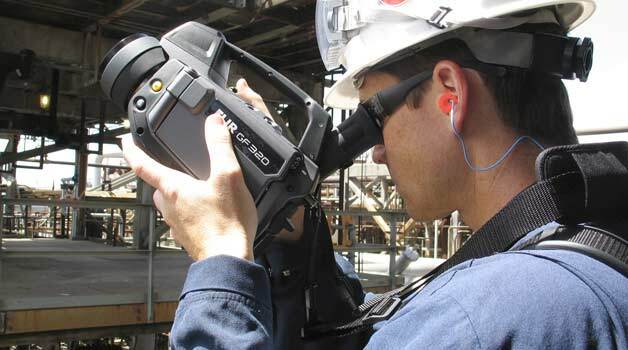 3 day course for gas professionals to learn optical gas thermography. Taught over 3 days, this course gives candidates professional experience in using advanced FLIR GF series gas thermal cameras and advises how to effectively interpret results. This course is ideally suited for those regularly working around gas and is essential for understanding how to use thermography to pinpoint gas leaks. With a focus on site safety, the course will also detail understanding of gas clouds as well as reporting methods. You will also gain an understanding as to why some gases appear as visible cloud within the thermal image and be given some basic reporting methods.